For the readers here, this is probably very obvious, but @Marie_Haynes tells me, that it is not so obvious and it is "an issue many people argue about." 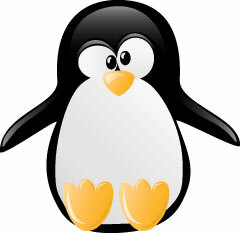 You cannot recover from a Penguin penalty (algorithm) if Google did not run the algorithm again. The only way to recover from an algorithmic issue is for the algorithm to run again. Some of those algorithms are run frequently but with Penguin, it has been 11 months and four days (339 days) since the last Penguin refresh, i.e. Penguin 2.1. I am absolutely shocked and honestly horrored it is taking so long, but that is for a different post. Yes, assuming the issues are resolved in the meantime, with an update of our algorithm or its data, it will no longer be affecting your site. Without the algorithm update, you are stuck. When is that? I really think Google is testing it and has been for weeks, if not months. But still, nothing has been confirmed yet by Google.